Kate has won the 2012 “Music Composition – Contemporary” Mississippi Institute Of Arts & Letters Award for her album Two Nights In Texas. The awards will be held on Saturday, June 9th at the Mississippi Museum of Art in Jackson, Mississippi. 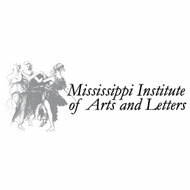 In 1978, the Mississippi Institute of Arts and Letters (MIAL) was dreamed up by a few discerning individuals, including former Governor William Winter and Dr. Cora Norman both of Jackson, Dr. Aubrey Lucas and Dr. Noel Polk both of Hattiesburg, and Mrs. Keith McLean of Cleveland. These founding members knew that among Mississippi’s greatest riches are our artists, writers, and musicians, who must be supported, nurtured, and recognized. The prestigious awards, first made in 1980, are presented in seven categories: Fiction, Non-fiction, Visual Art, Musical Composition (Concert), Musical Composition (Popular), Photography, and Poetry. The Institute’s juried competition is one of a kind in the state. Our carefully selected judges, chosen from out of state, are prominent in their field. Supported by Mississippi Institutes of Higher Learning, MIAL is privately funded, self-perpetuating and non-profit.